Here’s what writers are saying about this book! I tried your piggyback writing technique by sending a query to a favorite children’s series suggesting topics for the ‘hole’ in their series. Within two hours of clicking send, I received a reply with tips from the editor on a successful proposal and her comment “your ideas sound great.” Thank you so much for helping me emerge from that dark box. Happy New Year!!! They requested proposals for all FIVE of my suggestions (I’m so excited). Luckily I had one already prepared and emailed it off to them as requested…now to finalize the others. Thank you again for your marvelous encouragement and help to make the leap. Guess what? I have been following your advice and querying editors about different ideas, asking if they are interested in seeing a proposal and sample chapters. Well, I just had an editor say “yes, send me the proposal and chapters.” I’m thrilled! I remember the first time I heard your first teleclass and I was absolutely nowhere in my writing life–by following your Triple Crown of Success, I have excelled and done quite well. Thank you!!!! I’ve learned more from your book (and I’m only on page 127) than I’ve learned searching the entire Internet! Thank you for writing such a detailed, organized, and understandable book. I find myself reading this book in some of the most interesting places. The car-pool lane is one of them and I got honked at the other day for not moving up in line fast enough.Your book was just too good to pay attention!! I am using your book as my writing bible:) and yes, I can write children’s books, thanks to you. It is such a help and I am learning daily. I have also managed to become published in a local newspaper. The tips you have offered in your self-help book for children’s writers has really directed me well in advancing my writing. This is my bible of sorts. 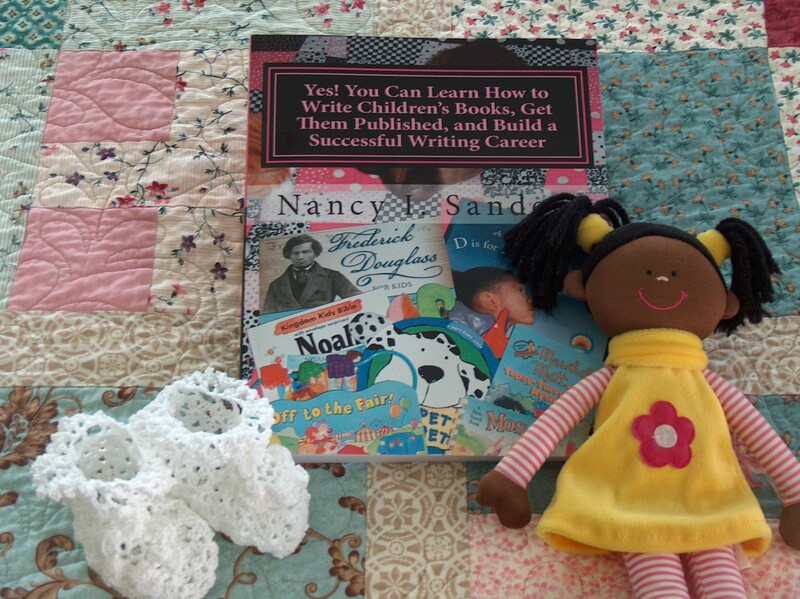 Nancy shares with what worked for her to create her ultra successful writing career. It’s broken down to simple tasks that are doable for any reader.